Visitors to the UK are spoiled for interesting places to go. They could take a trip to Tim’s stomping grounds in Bath and take a gander at lots of lovely Roman and Medieval buildings. Or they could come up here, in the frigid north, and watch cannons being fired in Edinburgh Castle. And don’t forget GAME, a shop in Stratford. That’s where Blizzard’s Hamilton Chu is going to end up while he’s over in Blighty next week. But he’s not visiting the retailer for the sightseeing opportunities. The Hearthstone executive producer will be at GAME to chat about Hearthstone, take questions and sign stuff. And you can pop in and say hello between 5pm and 8pm on October 23rd. The GAME in question is the shop in Westfield Stratford City, which is a big shopping centre, I believe. 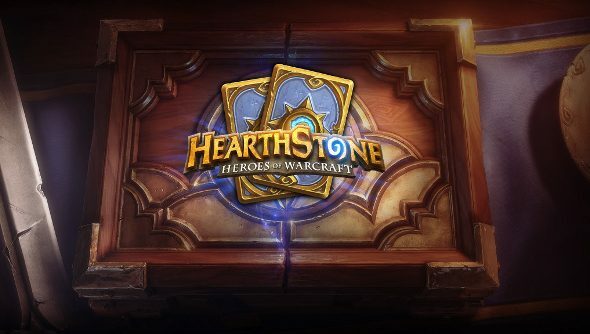 It kicks off a series of Hearthstone Fireside Gatherings in the UK, the rest of which will happen across next year. You might be able to get a Fireside Friends card back, too. Since the whole point of Fireside Gatherings is to play Hearthstone with a bunch of new people, you should probably bring your iPad, if that’s the sort of thing you own. If you don’t have one, maybe you should just bring your laptop and hope you’re not the only one.